Mother Grains. Sacred. Enduring. Revered. These simple statements describe the lost crops cherished by ancient cultures and solely utilized by The Ancient Bakers. For centuries, our ancestors revered certain grains and plants as the staple of their diets and cherished them for the sustenance they offered their communities. 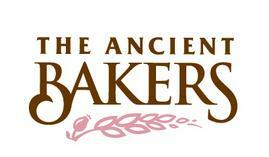 This was a long time ago...Yet, we The Ancient Bakers research, remember & revive these special foods to create inherently nutritious, great tasting ancient bakery products... the way nature intended.